I have a huge problem with adding books to my classroom library. Right now I am at about 3,000 books and I keep growing the library. I have to admit that I am getting close to the point that I literally cannot add many more books because there is nowhere to store them. This year I even got rid of my teacher desk in favor of more space for bookshelves. I don't know what else I can get rid of! This brings me to the topic of organizing your classroom library. 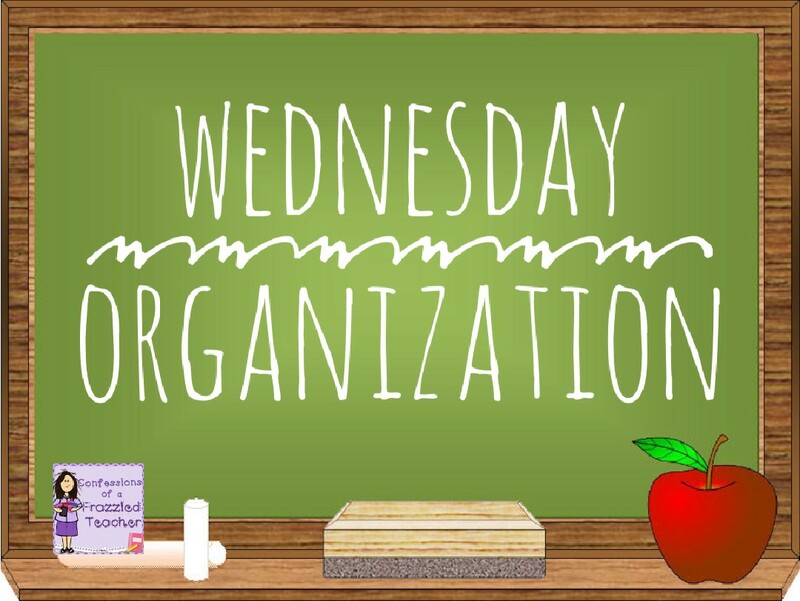 There are tons of ways to organize your library. 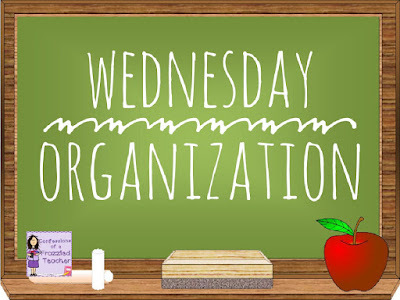 I wanted to share a few ways and leave you with how I organize mine. 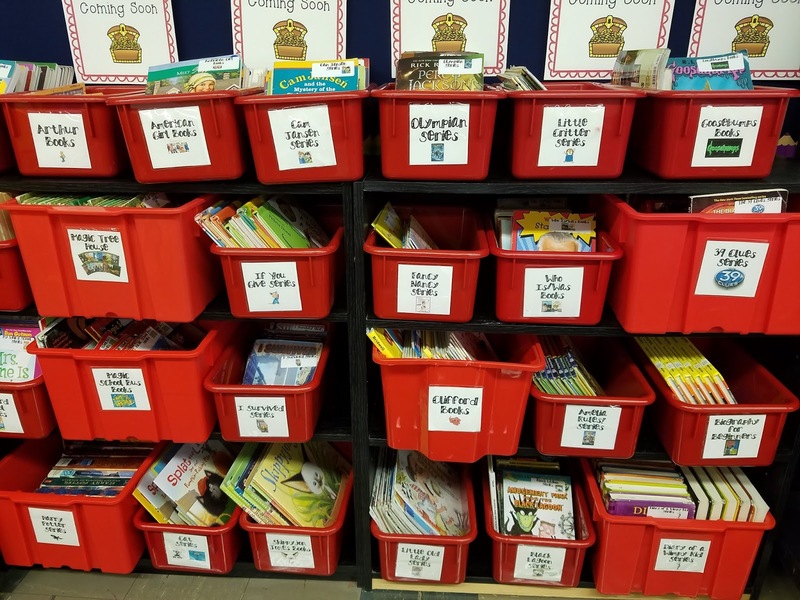 No matter how many books you have, this is super important to do because an organized library will encourage students to check out books and start reading! Leveling your books requires a lot of time and access to a leveling program - Accelerated Reader, Lexile, etc. 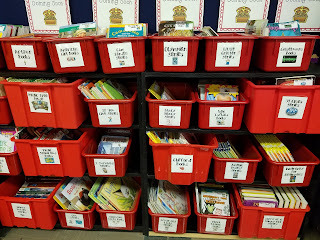 Once the books are leveled, they are put into bins or on bookshelves that correspond to that level. A huge pro to this method is that students are assigned to the level that is appropriate for them. Reading books at their level will reduce frustration in reading. On the other hand, a huge con is that students may not be reading high interest books. This could lead to students reading less because they can't read the books that interest them. This is the old school type of library. Students read the spines of the books and pull out the ones that interest them. This type is much easier and faster to set-up (since I am assuming most teachers don't put them out according to the Dewey Decimal System). The problem with this is that students really have to search for books that they are interested in reading. A reluctant reader can be turned away from reading because they cannot quickly find an appealing book. Over the years, I have moved to this type of library and it is my favorite by far! With book bins, covers are now facing students. This helps students to flip through them to find an interesting book. I have a few different bins...okay I have 100 different bins. (I told you that I have a problem with books!) Don't let this intimidate you. Look at the books you have right now. Think about how you can categorize the books. (Side note: Read The Book Whisperer. She has a fun activity that gets students categorizing the books. Plus, it's an AMAZING book!) For example, you may start with genres like fiction, non-fiction, mystery, etc. You may also find that you have a lot of series. I know my students always have favorites each year, so I definitely try to make sure to have these books available. Here's a small section of my library. Notice the different colored bins (see why below). When I first started organizing my books, I grabbed some bins and only had certain books available in them. 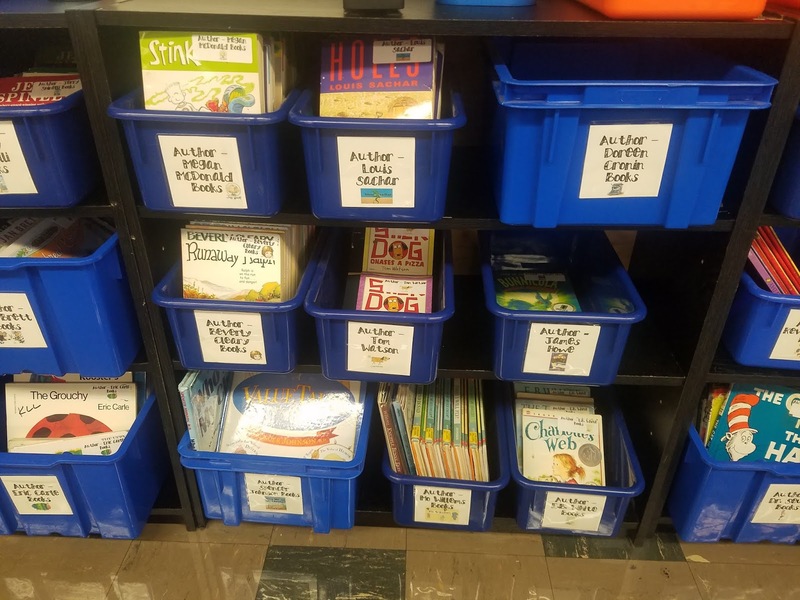 Over the years, I have changed things up a bit and now color code my bins so students can find a favorite book even faster. * Red bins - These are series books. I have everything from Clifford to Diary of a Wimpy Kid. Last year I had to add Dog Man because they were extra popular! * Blue bins - I feature popular authors in this area. These include authors like Roald Dahl (my personal favorite) to Judy Blume. Last year I had to add Mo Willems. I always thought he was too low for my students but he was requested and they gobbled these books up! * Purple bins - These bins are all popular topics. I started off years ago with a reptile bin because a reluctant reader had a huge fascination with them. It has since grown to topics like presidents, video games, and superheros. * Green bins - This is the traditional genre section. I have generic genres like fiction and non-fiction to more specific ones like mystery, science fiction, and adventure. * Yellow bins - These bins are the extra ones that didn't really fit in any category. Here I have a picture book bin, chapter book bin, as well as a student created book bin. Yes, it takes time for creating this type of library (a huge con). However, it can be done in smaller increments, not all at once. The pros to this are huge! Some pros include easier ordering of books (just look at emptier bins to see what needs to be added) as well as my favorite - when a student asks me for a certain book, I can direct them to that book within seconds. This gets the child reading and learning to love books quickly!